Lt. Gov. 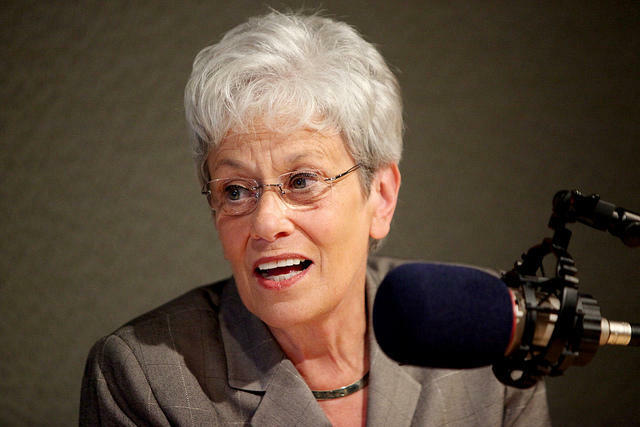 Nancy Wyman in a WNPR file photo. Governor Dannel Malloy's working group that's examining how to improve the Connecticut Veterans Home has hired an architect. 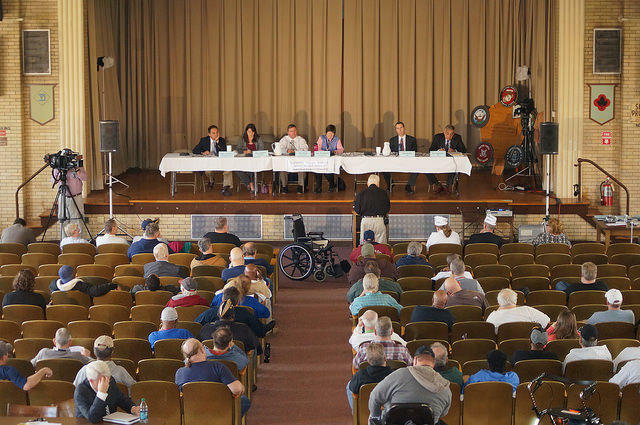 The advisory group has met almost monthly since October to evaluate the programs and services given to veterans at the sprawling campus in Rocky Hill. It's part of an effort by the governor's administration to end chronic homelessness among veterans. Most of the buildings on campus are more than 70 years old, including a domiciliary for veterans to live. Many were formerly homeless. Lt. Governor Nancy Wyman is leading the working group. The state has hired architect, Ames and Whitaker of Southington, but the fee is still being negotiated. Wyman said the firm will study the best way to use the 92-acre property. "[We're] looking at the future use of the current buildings and possibility of more use of the land, how to reuse these buildings, and looking to the future of the demographic projections of Rocky Hill," she said. The legislature's Program Review and Investigations Committee also studied the Veterans Home, and issued a report in December highly critical of the way the facility has been running. Some of its recommendations are now included in legislation. The bill calls for transforming the domiciliary into transitional and permanent supportive housing, improving substance abuse treatment services, and oversight of the programs offered. It also calls for allowing residents' input to be part of the process. Wyman said the working group agrees with many of the committee's findings including the need for a strengthened Board of Trustees to the Veterans Home. The board has met infrequently for several years and provided little oversight to how the facility operated. The advisory group meets again in April. There's 13 months to go in the federal VA's five year plan to end veteran homelessness. VA staff and community partners in Connecticut met this week at a summit to discuss how they plan to reach the goal by the end of 2015. The Connecticut Veterans' Home in Rocky Hill includes a nursing home and a domiciliary that gives shelter and food to many veterans who were formerly homeless. A recent study of the facility points to a need for dramatic improvements. The state Veterans' Home sits on a sprawling campus in Rocky Hill but most of the buildings were built more than 70 years ago. In August, Governor Dannel Malloy asked for the creation of an advisory group to examine how the property--which offers several types of residential care-- can be transformed to serve more veterans.